Need a unique gift for your canine friends? 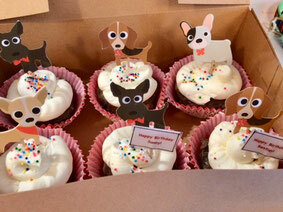 At JUST LIKE HOME Canine Bed & Breakfast, we create treats, biscuits, donuts, and birthday cakes for your special canine. 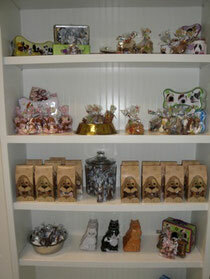 Our bakery goods make the perfect gift for the special dogs in your life. We are no longer able to keep items on the shelf at all times. (We've gotten too busy for all the baking!) 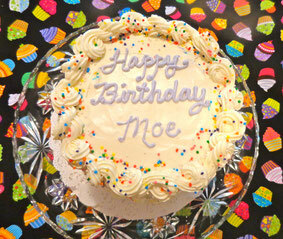 Bakery items are still available with a three day notice for your order.